I am always on the hunt for the “Best Ever” Chocolate Cake. 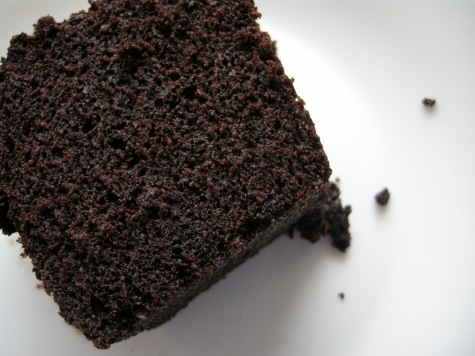 For me, in my opinion, there really isn’t any other sort of cake out there besides good old-fashioned Chocolate Cake that is as “oven-worthy” to make from scratch, other than perhaps Carrot Cake or Johnny Cake. 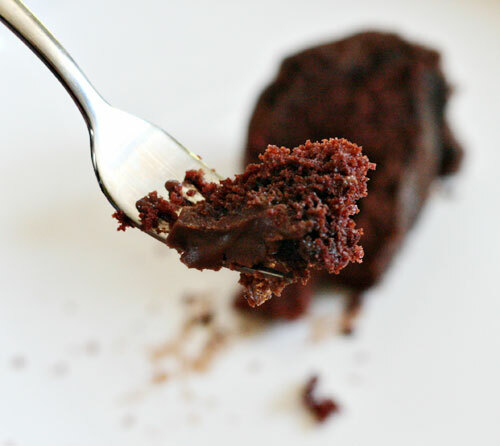 In my search over the years, I have come across a few successful recipes, but I am always in search for the Holy Grail of Chocolate Cake… My pre-requisite is that the cake must have the most special primary key ingredient, Cocoa not melted chocolate. I love pure dark-chocolate double fudge cake made from scratch with no mouse or whipped cream to get in the way, dense brownies with walnuts, devil’s food cake and especially, I love the old-fashioned butter icing that goes along with or should I say accompanies each sinfully delicious mouth-full. Chocolate cake, the Pièce de résistance! When I bake which is a rarity for me lately, I use only organic spelt flour for preparing my cakes, cookies, muffins and breads. I discovered it takes just a bit more spelt flour to acquire the same consistency and desired texture required to achieve the same effect and characteristics as the regular white wheat flour, so I usually heap my measuring cup rather than make it a level measure. The proof is in the pudding, or shall I say baking. The overall satisfaction and taste is still the same…wonderful! This first recipe I have made for years. This cake is easier than making it from a boxed mix. The only thing you are missing is the box, and the fact that someone has put all the ingredients together ahead of time. I have done this recipe with a wooden spoon and a whisk and with my hand-held electric mixer, and found that both methods work well. It is as easy as 1,2,3 when it comes to mixing and pouring the batter in the pan. Find Cocoa Camino Organic, Fair Trade cocoa and sugar in the organic section of your local grocery or health food stores. This recipe used to be inserted in the lid of each cocoa container, and is adapted from the Moosewood Restaurant Book Of Desserts. Grease an 8-inch square or round baking pan with butter and a fine dusting of flour. Sift or stir together flour, cocoa, baking soda, salt and sugar in a large shallow bowl. Bake in preheated 375 F oven 25 to 30 minutes, or until cake springs back when lightly pressed in centre. Cool thoroughly in pan on wire rack. Dust the top with cocoa or icing sugar, or make butter icing and spread over cake in the pan. Cut cake in squares and serve. Combine dry ingredients and set aside. Beat together, butter and sugar until smooth. Add eggs to the batter and sugar mixture one at a time, beating well after each addition. Stir in vanilla, peel and zucchini. Alternately stir the dry ingredients and the milk into the zucchini mix, with the nuts at the last. Pour the batter into a greased and flour-dusted pan. I use a large baking pan. Some use a bundt pan. Baking depends on the size of pan used. Bake in oven for about 50 minutes (test at 45) or until a wooden pick inserted in the centre comes out clean. Cool in pan for 15 minutes if turning it out. let cool thoroughly. Glaze: Mix 2 cups powdered sugar, 3 tbsp milk and 1 tsp vanilla. Beat until smooth. *I believe this recipe will make two Zucchini Loaves if put in loaf pans. Watch the baking times as they will vary. **I never use the optional items, but put them in if you would like to try them. The old-fashioned Birthday Cake. All you need to add is the special lighting and music. Remember when some real cool Mom’s would hide money inside the cake? Now that was a party cake to remember! Heat oven to 350 degrees Fahrenheit. Grease and flour two 9-inch round baking pans or one 13x9x2 inch baking pan. In large mixer bowl, combine butter, sugar, eggs and vanilla; beat on high-speed of electric mixer 3 minutes. Stir together flour, cocoa, baking soda, salt and baking powder; add alternately with water to butter mixture, beating until blended. Pour batter into prepared pans. Bake 30 to 35 minutes or until wooden pick inserted in center comes out clean. Cool 10 minutes; remove from pans to wire racks. Cool completely. Frost with Butter Cream Icing. 8 to 10 servings. Sift the Icing Sugar and Cocoa into a large bowl, and add all remaining ingredients. Mix on high, until all is smooth and creamy. Spread on well-cooled prepared cake. Depression Cake….who can be depressed when eating this decadent cake? The name came from the era when during World War II times were tough, food was scarce, and budgets were limited. Luxuries especially rich butter and fresh eggs were often not staples in the family larder. A chocolate mayonnaise cake, made with mayonnaise in place of eggs and butter is a must try for everyone. 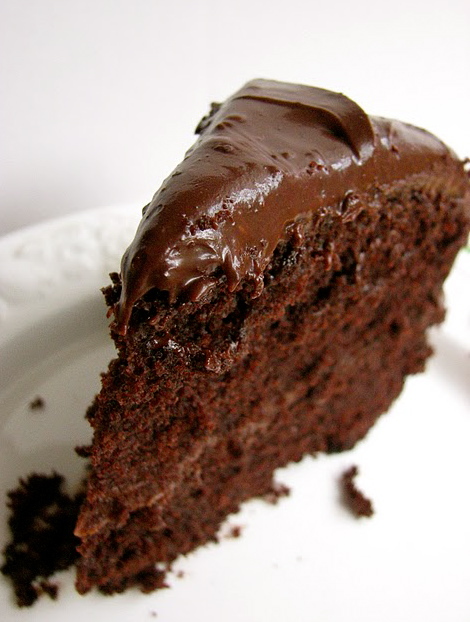 This rich dark chocolate mayonnaise cake is probably the best moist chocolate cake recipe you will find anywhere. You can dress it up or have it plain. Serve it hot out of the oven drizzled with chocolate syrup and chopped pecans and a dollop of vanilla ice cream, or cooled and iced with classical butter cream frosting. Sift together the flour, cocoa, soda and salt. Cream together the sugar, mayonnaise, water and vanilla. Add dry ingredients to the creamed mixture; stir until well blended. Pour batter into greased and floured layer cake pans (or a 9- x 13-inch pan). Bake at 350°F. for about 25 minutes. With all this talk about chocolate cake, I then started thinking “Hot” Chocolate Cake would be awesome. Serve your cake temperature hot by making it spicy hot, not too hot though just enough to make it interesting. I do rather enjoy the Aztec or Peruvian tradition of putting cocoa into chili recipes, so why not chili in cocoa recipes? Chocolate and coffee, chili or black pepper and cinnamon make a beautiful exotic morocan or mexican style cake. Pour a dark chocolate ganash over top while the cake is cooling and you have a very rich and appealing, sinful and spicy combination or a buttery cooling chocolate icing to compliment the beautiful exotic flavours. Preheat your oven to 350 degrees. Butter and flour an eight-inch cake pan. Set aside. Cream together the sugar and butter until light and fluffy. Add the eggs, one by one, beating well after each addition. Add the vanilla and beat again. Combine and sift cocoa powder, flour, baking powder, baking soda and spices in a large bowl. Add dry ingredients alternately with the milk to the butter mixture, beating until well combined. Pour batter into prepared cake pan and smooth top. Bake for 45 minutes, or until edges begin to pull away from the sides of the pan. Let cool completely before frosting. To make the icing, beat the butter, powdered sugar, cinnamon salt until fluffy. Drizzle in the melted chocolate while the mixer is going and continue to beat on high for another 6-8 minutes, until frosting is very light and fluffy. Smooth frosting over completely cooled cake. Enjoy! This entry was posted in Uncategorized and tagged Cake, Organic Stone Milled Flours, Zucchini. Bookmark the permalink. Yes its Great Dina! Enjoy! Love the Vegan Chocolate Cake with spelt flower… how can I keep it to last a few days (apart from eating small pieces) LOL! Is it possible to freeze or how else to preserve it if I want to bake a few at a time. Thanks. Of course you can freeze the cake. Pour it in muffin cups and bake if you like for some two-or-more bite cakes. Freeze a few. They taste yummy frozen even. I have put an amazing avocado chocolate icing on top and make amazing cupcakes for special friends. Would you mind sharing the recipe for the avocado chocolate icing pls. I use the topping recipe from the Frozen chocolate brownies. Puree until smooth and spread over the base. Sprinkle with fleur-de-sel. Thankyou for the icing recipe. The cake was delicious. My kids loved it! Wow… Now I am craving chocolate! 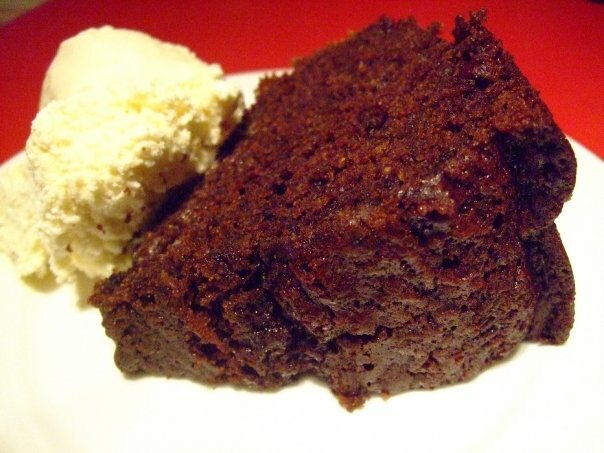 In the BEST EVER ORGANIC VEGAN CHOCOLATE CAKE recipe, is it possible to substitute Olive Oil instead of Vegetable Oil? Yes, any oil is fine. I have even used mashed avocado. Go ahead and experiment. I always use extra virgin light tasting olive oil. Hello! I tried the recipe for BEST EVER REAL ORGANIC CHOCOLATE CAKE this morning and it didn’t rise. 😦 I used white whole wheat flour and local unsalted butter, could either of those have been the problem? I’m trying to find a recipe to use for my daughter’s birthday cake so I’d love to figure out what I did wrong. As soon as you add the vinegar or lemon juice and just stir, put it in the oven. The action between the baking soda and vinegar cause the rising action to occur. Maybe that is the problem?? I do know this cake does not rise as high or fluffy as a box cake. I have not used whole wheat in this recipe myself. You may have to play with the recipe. Good Luck. It will taste great even if it isn’t as high as you like! This cake will definitely NOT support fondant icing. I would not recommend that. Try a butter cream icing or a ganash. 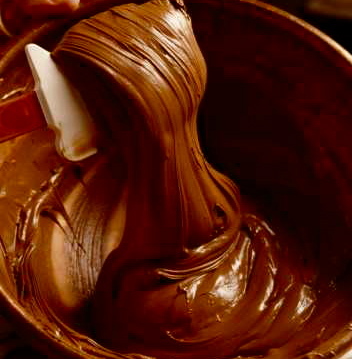 Melt the chocolate in small ovenproof bowl or heavy skillet in the oven for about 15 minutes. Stir the hot liquid and vanilla into the chocolate until smooth. Spoon the glaze over the cooled cake. Refrigerate the glazed cake for a minimum of 30 minutes before serving. She is talking about the real chocolate cake not the vegan one…..yes it would be the lack of salt. Hi Heather, I have heard this complaint before and I read that it is the unsalted butter, needs to be salted butter. I have not tried it so I dont know first hand. Where do you find organic cocoa powder? You can find Organic Cocoa Powder at your local Health Food Store, Health Food Section in your local grocery store. I lately have been purchasing it at either the Ten Thousand Villages Store, Loblaw, Great Canadian Super Store or Metro. The brand is Cocoa Camino. They produce organic cocoa, chocolate chips, chocolate bars, hot chocolate, and it is all Free Trade. Would using raw cocoa powder work as well? Just wondering. Raw Cocoa will work. It will have a much different taste, a more mild or less rich chocolate, but I do not see why it would not work. Plus you will be getting the benefit of the raw cocoa. Good question. omg i want cake now…. This page is making me drool! Whoops! Better wipe off the keyboard!